The likes of Paul H. Cody are a dime of dozens in the business and real estate world, especially in Canada. Paul H. Cody, originally from Massachusetts, lived part of his adult life in New York City until the age of about 46 when a deal, went bad. 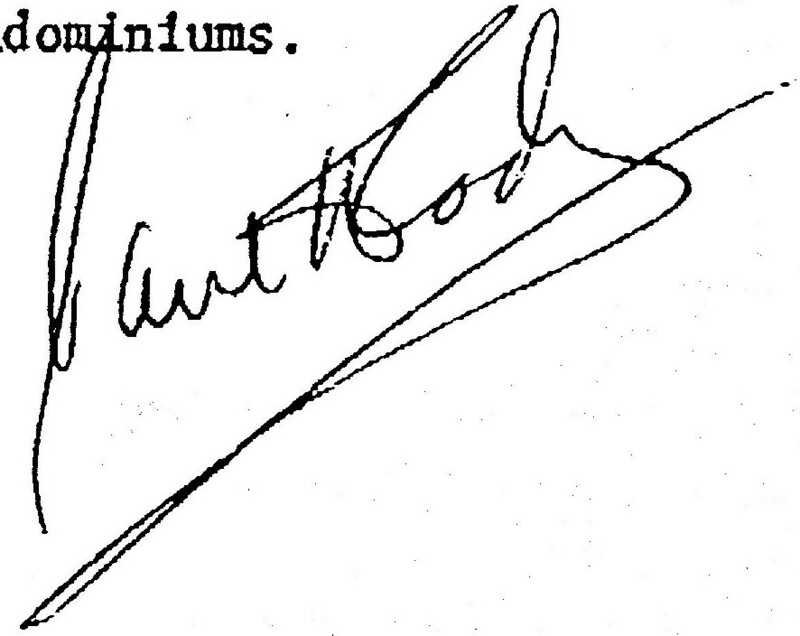 Paul H. Cody was an investment banker, mortgage broker, a real estate buyer and seller, and an investment advisor on Wall Street in the 60s and 70s. Consider that The World of Susie Wong starting William Holden and Nancy Kwan was a romantic drama that dealt with the love and interracial relationship between a struggling American artist (William Holden) and a beautiful Chinese prostitute (Nancy Kwan). Subsequently, how sophisticated some people launder their proceeds of their crimes, this one by stealing the identity of a factious character (Susan Wong), who at the age of 18 became the CEO of a corporation (Bonniehon Management Inc. Bonniehon Enterprises) that may hold hundreds of million of dollars of assets, which many people unknowingly drive by everyday, in the downtown core of Vancouver, British Columbia. Whereas the likes of Ted Turner have had to buy the rights to old movies and pay big bucks to colorize them, Paul H. Cody appropriated the Susie Wong Story and cast himself in the role of William Holden and pimped this factious chararcter to some of Vancouver's foremost government agencies in British Columbia and Canada's highest courts. The story of the theft of identity of Susie Wong the legendary Hong Kong prostitute, colorized by Paul H. Cody, banker and mortgage broker --- starts at 1395 Beach Ave where Cody often times was found sweeping the floor in the parking garage, and would take refuge among the paint cans and telephone polls, eating chocolate cookies. Cody, an American citizen, moved to Vancouver, British Columbia Canada, from New-York City, circa in 1987 and resided at 1395 Beach Ave until year 2005, when the Vancouver Police Department gave Paul H. Cody the heads up to move out of the Surfside Apartments, and go into hiding, on the basis that the Zanetti sisters were considering asking the Provincial Court for a restraining order against Paul H. Cody. Cody now residing around 41st Avenue and Granville Street, in Vancouver, B.C. running the show from his office, wherein his main tenant is the Hongkong Bank of Canada. In March of 2008, Cody was given a permit to lease the roof of his office at the Hongkong Bank of Canada, for the purpose of erecting antennas for internet and cell phones. Bell Mobility is the provider. Cody also was handed a permit by the City of Vancouver in March of 2008, to lease the roof at 1395 Beach Avenue, for Cell Phones and Wireless Internet to Bell Mobility. Turning the property from residential zoning to idustrialized zoning. Cody holds the key to the signature of Susan Wong. 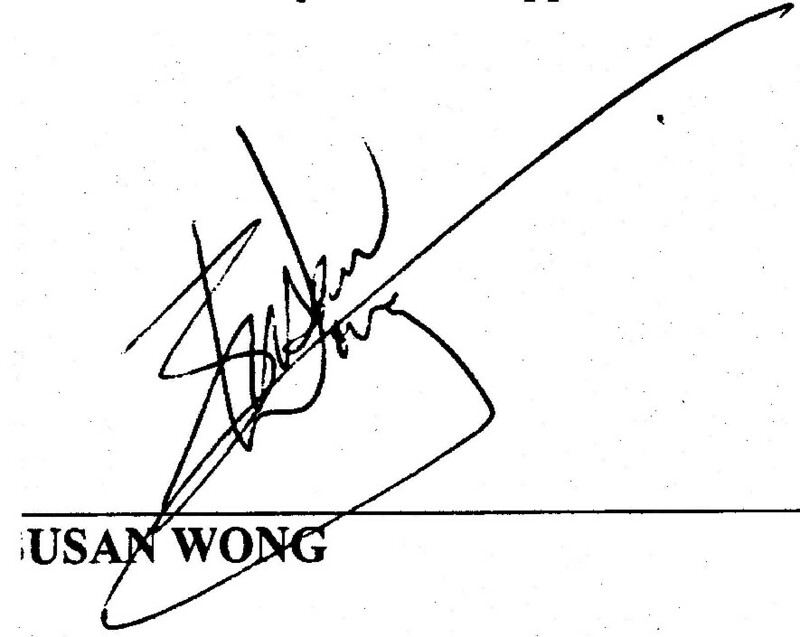 He is in fact, on paper, Susan Wong. The Susan Wong in flesh could not reproduce Cody's signature. Paul Cody's lawyers facilitates the signature process, by watching Cody signing the name of Susan Wong on all legal documents, and given the solicitor-client privilege, Paul H. Cody can commit the perfect crime. Whereas as of December 31, 2008, law firms in Canada are subject to New Client Identification Requirements, Cody has made his fortune in escaping such laws. All of Cody's shell companies, set up by his lawyers, are serving to transfer money to offshore tax havens countries, beyond the reach of Canadian regulators and also serve in giving money to the Federal and Provincial government for favours. Thus in Canada, Cody buys for his protection, whereas in the USA he could not easily grease the palms of the authorities, unless he was in with them. 'Canada is a country full of forests' -- meaning it is a country where it is easy to hide -- 'and it is a place where it is easy to invest. It is our place.' "
Following, is a timeline of Codys affairs while in the United States to when he escaped the USA for Vancouver, British Columbia. As earlier stated, with the help of Codys lawyers, he has created several shell companies, by being the SUSAN WONG signatory and as a result created himself an identity (SUSAN WONG) that protects him from being discovered by the authorities in the USA and subsequently in Canada. In 1969, Paul H. Cody, originally from the State of Massachusetts, started a new company by the name of World Resort Ltd buying and selling Commercial, Residential real estate as well as Condominium in the USA, Canada and around the world.
. In 1970, Cody obtained two different SEC licences from the New York US Securities and Exchange Commission; one as a Broker-Dealer, the other as an Investment Advisor on Wall Street. 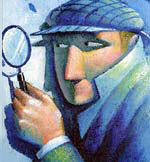 In 1985, the IRS assessed Codys Income Taxes. In 1987 three separate IRS Federal Tax Liens were placed on Codys Social Security Number and his assets in the amount exceeding $160,000 in US currency. Cody's Federal Income Taxes owed to the IRS were released via the Statute of Limitation, 10 years after he had been assessed in 1985. The Statute of Limitation ran out and Cody's liens are still in the public domain in the USA in different data bases. According to an IRS agent, Cody, is not current in the data base of the IRS, and when the IRS agent was asked in 2003 - 2004 whether or not the tax liens were paid their response was that Cody did not appear as though he paid his owed Taxes to the IRS nor was he reporting to the IRS as required by all US Citizens, even when living abroad. 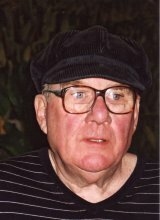 In 1987, Paul H. Cody, moved at 1395 Beach Avenue, in THE WEST END of Vancouver, British Columbia , the year the IRS went knocking at his office door. Cody left behind, amongst other things, his upper East Side apartment in Manhattan on E 71st Street, and two summer beach houses on the waterfront, in Cape Cod, next to Hyannis Port, the Kennedy Compound, across the Nantucket Sound, to live and work as a Caretaker, at the Surfside Apartments. These properties are listed on the Federal Tax Liens Judgment against the subject Cody. For readers, who have no knowledge of New York, the Upper East Side-Manhattan is described in two words: old money. This is arguably one of the wealthiest neighborhoods in the world, and has been for more than 100 years. After all, this is where people with last names such as Carnegie, Whitney, Astor, and Vanderbilt made their homes---or mansions, more appropriately. Even Gracie Mansion, was one of the city's mayor that resided on the upper East Side. In 1986 Andrea Eng sold the property at 1395 Beach Avenue, known as the Surfside Apartments to Bonniehon Enterprises Ltd. Eng also sold another property to Harton Investments Ltd. on 1845 Comox Street. In 1991, Bonniehon Management Inc., was incorporated and the same year, Paul H. Cody assumed the role of Assistant Manager of the Property at 1395 Beach Avenue. As per documents filed at the BC Supreme Court, and according to Documents from the Land Title Office, throughout the years from year 1996 to year 2001, several mortgages in the amount of about 26 million dollars + were taken against the Surfside Apartments (THE CASH COW, as Cody referred to it, and against the property on 41st and Granville Street, with the assistance of different lawyers, one of which is a lawyer linked to the law firm Kornfeld Mackoff Silber. According to the documents obtained at the New Westminster Land Title Office , mortgages were taken from different Banks and Insurance Institutions and this is how Cody, with an assumed name (SUSAN WONG) has built his fortune, notwithstanding the fact, that as a US citizen, he is obligated to file and pay his US income taxes every year. According to J4Y's sources, Cody however has not filed his US income taxes since 1986. Further it appears that Cody may also be in the business of porns, as J4Y learned that in 1998, a box containing pornographic material, belonging to Cody, was found in the elevator room, on the roof top at 1395 Beach Ave. The likes of Paul H. Cody, Ian Thow, Martin Wirick Martin Chambers and many others like them, are to date supported by the power base in Canada. The Modus Operandi for British Columbia is clear. Whereas, in 2003, Paul H. Cody was served with a Removal Order by Immigration Canada, J4Y learned that Cody never left the country but rather went into hiding for one year, until the coast was clear for him to resurface again at 1395 Beach Ave.